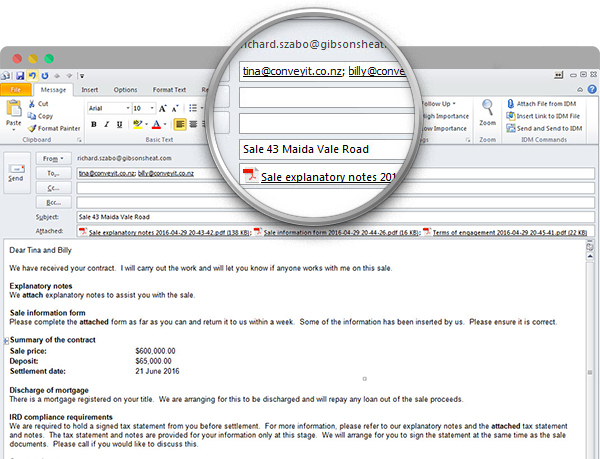 In response to client feedback we are pleased to introduce Emailing from Maestro! Generated correspondence can now be sent as an email message. A “Send Email” button will be visible in the Microsoft Word ribbon for documents enabled for emailing. When “Send Email” is clicked, the current document will be added to a new email message in Outlook. If there are any other documents open in Word for this client/matter, you will be given the option to attach these to the email message as PDF or docx files. 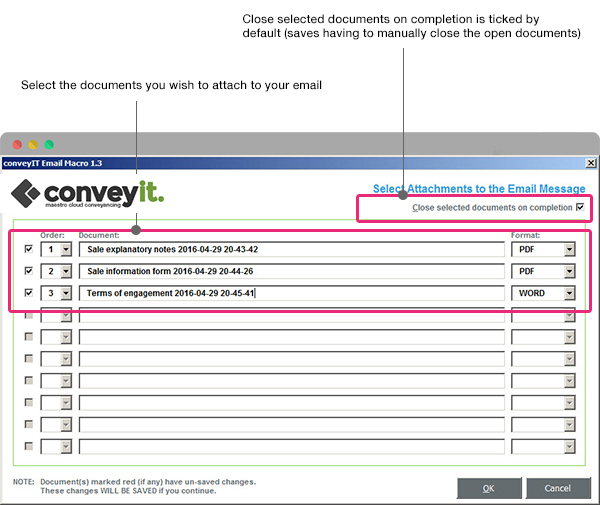 When a precedent has been enabled for emailing, the “Send Email” button becomes visible on the ribbon. Note: Some of the correspondence tasks in workflow have been moved slightly so that the attachments associated with these tasks are created first and the related correspondence item last. Why? When “Send Email” is clicked, Word looks for any other open documents for the same client/matter, and will list these documents to be optionally attached as a PDF or a Word document to the same email message. Note: ONLY documents for the same client/matter will be available for selection, regardless of the number and type of documents actually open in Word.